This complete primer on San Francisco Bay is a multifaceted exploration of an extraordinary, and remarkably resilient, body of water. Bustling with oil tankers, laced with pollutants, and crowded with forty-six cities, the bay is still home to healthy eelgrass beds, young Dungeness crabs and sharks, and millions of waterbirds. 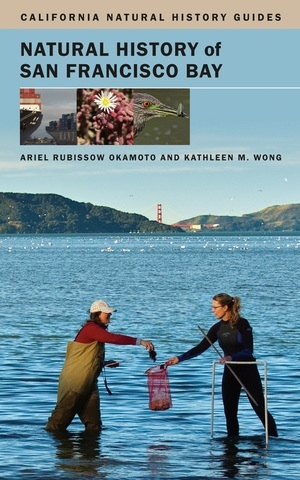 Written in an entertaining style for a wide audience, Natural History of San Francisco Bay delves into an array of topics including fish and wildlife, ocean and climate cycles, endangered and invasive species, and the path from industrialization to environmental restoration. More than sixty scientists, activists, and resource managers share their views and describe their work—tracing mercury through the aquatic ecosystem, finding ways to convert salt ponds back to tidal wetlands, anticipating the repercussions of climate change, and more. Fully illustrated and packed with stories, quotes, and facts, the guide also tells how San Francisco Bay sparked an environmental movement that now reaches across the country.